The inner layer of the skin- dermis, creates new skin cells, and release the dead skin cells to the outer layer of the skin- epidermis. This however does not happen on its own, we need to exfoliate our skin in order to bring out all the new cells and wash out the old ones. There are countless number of exfoliators and scrubs available in the market, promising to deep- clean, they often contain artificial products that harms the sensitive skin of our face, so here we give you a list of five easy DIY scrubs that will help you rejuvenate your and make it look shinier and lighter. 1.Sugar, banana and honey scrub - This is the best way to put those rotten bananas to use. Take a banana and mash it using a fork, add some sugar to it, mix it well, make sure the consistency is thick and the sugar is not too less or too much. Now add a little bit of honey in it, so that it sticks on your face. Let it stay for 20-30 minutes and then rinse using water. Pat dry your face and use moisturizer if needed. 2. Baking soda scrub - Baking soda has a lot more uses than just being used in the kitchen, it can be used as a cleaner, air freshener, stain remover and a scrubber! We will tell you how to use it as a scrub. Squeeze out a bit of you facial cleanser in your palm and add a tinch of baking soda in it. Mix it using your finger and apply it on your face, rinse using water. 3. Brown sugar, lemon and honey scrub- take some sugar and add honey to it, add a few drops of lemon juice in the mixture. Make sure the consistency of the mixture is thick enough for it to stick on the face and exfoliate your skin well. Rub it on your skin in circular motions and let it stay for a while. Rinse with water. Sugar in most scrubs should preferably be brown sugar or powdered sugar, as it scrubs better. 4. 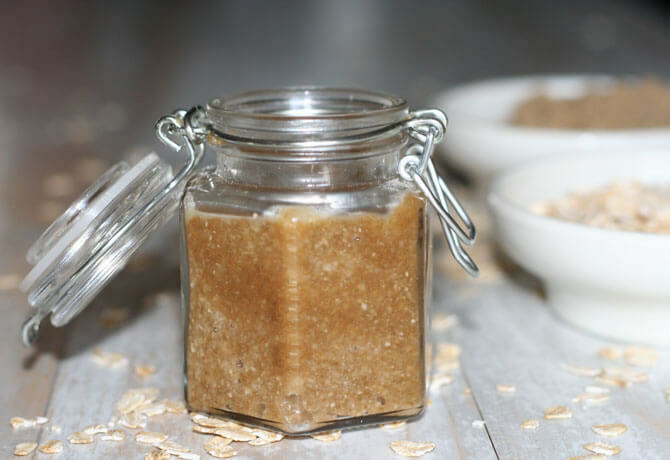 Oats, honey and olive oil scrub- Honey is one of the most used ingredients for making a scrub, due to its anti bacterial, anti- inflammatory and healing qualities. For this you will have to cook the oats a little, just brown them a bit in a pan, dry oats will not give best results. After cooking them, add some honey and olive oil to it, apply the mixture on your face and let it stay. Do not add too much of oil or it will impact the consistency. 5. 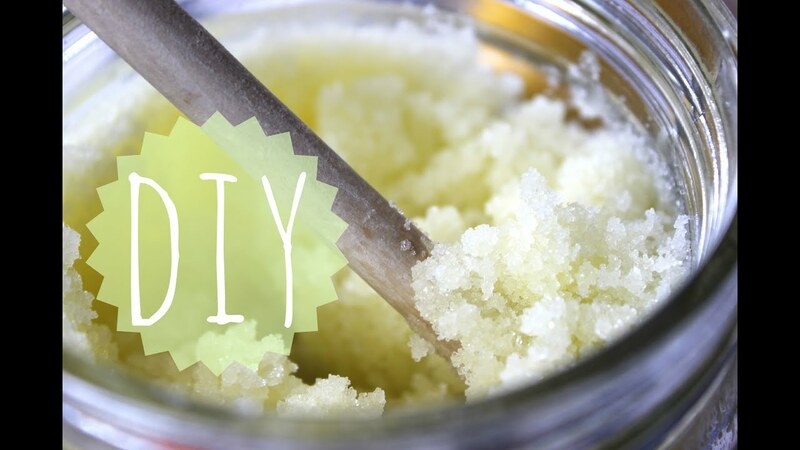 Sugar and coconut oil scrub- The easiest and the most feasible of all. Take some coconut oil and add sugar to it, take less oil and more sugar to maintain consistency. Apply the mixture on your skin and wash using mild soap or water. You probably will not need a moisturizer after this as coconut oil will leave you skin well oiled. So which scrub you are going to try this weekend? Do share with me.